I have been on a scrapbooking kick lately. Here are a few of the layouts I've completed in the last few weeks. All of the pages are made from Close To My Heart products. The first layout is made from the new paper packet called Animal Cookies. I am so in love with it. I still seem to be on a book marathon. I thought I would share my latest reads. My Sister's Keeper by Jodi Picoult -- This book is actually coming out as a movie soon staring Cameron Diaz I believe. It is about a family that has a daughter with Leukemia and the best way to help her is to have another child that is a genetic match to their daughter. The slippery slops goes quickly from there. The book brings up quite a debate about about ethical issues. Handle with Care By Jodi Picoult -- A couple after trying many years gets pregnant with a baby who ends up having brittle bone disease. The Mom eventually brings a wrongful birth lawsuit against her OB-GYN, who is also her best friend. Jodi is great about bringing moral and ethical issues to the surface, as well as, tearing your heart out at the end of all her books. If you are looking for an uplifting read, DO NOT read anything by Jodi Picoult. Ultra Marathon Man by Dean Karnazes -- Kenny actually read (even completed) this book first! It was an interesting quick read. A glimpse into the world of extreme Ultra Marathon Runners. It is hard to imagine what they put their bodies and minds through. Firefly Lane by Kristin Hannah -- This was last months book club pick. It is a story about two friends from childhood and their journey together as they grow up and become adults. I'd recommend all of them. My favorite out of these four would be Firefly Lane. We had a lot of family time this weekend. Full of fun in the sun, pretend camping in the backyard, shopping, eating, hiking, and beach going. Here are a few pictures from our 3 day weekend. Our make shift camping site in the backyard. We took a little half day trip to Snoqualmie Falls and hiked down to see the waterfall. Shane LOVES being in the backpack. On our way to the outlet mall we stopped by the Northwest Railway Museum. Shane is a big fan of trains. We got to see one leaving the station. We will be going back to ride on one for Shane's 2nd birthday activity. Today we went to Golden Acres Beach in Seattle. The first thing I thought as we drove up was it made me feel like I was in San Diego. It was wonderful to see a sandy beach. Unfortunately, it was only 55 degrees out and windy. We played for about an hour in the sand, but had to head out. There were a lot of die-hard Memorial Day families out there though. We just weren't one of them. Last night went better then I had expected. It took him an hour and 15 minutes to go to sleep. Normally he is out like a light. Within this time frame he had multiple requests: milk, fan off, more milk, new book, cover me up, and trains (uh no!). The first time he woke up and asked for the pacifier was 4:51am. He understood he couldn't have it, so he just wanted up for the morning (uh no!). He laid in bed yelling for us until 6am. Which is the earliest we will allow being up in the morning. I think this is fair enough. No reason in the world to be up before 6am! It seems that we are all trying to get our footing on this new transition. How many times to go in and listen to his requests....At what point are his requests not allowed any more...When do books get taken away if he isn't going to sleep...Do we want to have a milk habit at bedtime? So many things to take into consideration. We are just taking it one nap and bedtime at a time. He is also getting his footing in trying to figure out how to put himself to sleep with out a pacifier. We'll get this thing figured out sooner then later. Today is the doomed day of no more pacifiers. We have been doing a lot of talking to Shane about how he is a big boy and not a baby so that means he doesn't need to sleep with a pacifier any more. We got him to the point where he has only had it in his crib to sleep with for about a month now. This morning I had him put all four pacifiers into a baggie and throw them in to the garbage. He took it pretty hard. It is currently nap time and he sits in his crib rotating between screaming, yelling and crying. Kenny asked me this morning if there was a chance I would get the pacifiers out of the garbage can. I said no. Then he asked why I had put them in a baggie. I said, just in case. UPDATE: He fell asleep!! It took an hour, but he did it. Now we'll see how tonight goes! Shane is signing to us that he needs them when he sleeps. The daunting task of putting them in the bag. Daddy do I really have to do this!?! The final act. After this he turned around and wanted up desperately. A good friend from graduate school come to visit us this weekend from California. It was so great having her here and a wonderful bonus that the weather was fantastic. We took a lap around Greenlake Saturday morning and had a yummy dinner out at Coho Cafe in Redmond. Sunday morning we took a hike down to the water at Saint Edwards State Park and while the little guy napped for 4 hours we ate lunch at Red Hook in the glorious sun. I was a horrible photographer and didn't take one single picture of the weekend events. Thanks Laura for the wonderful weekend visit!! My first ever Blog Candy Contest has come to an end. After a random drawing of names: the winner is Vicky who posted on May 7, 2009 3:00 PM! Happy Mother's Day to all! We had a fun full weekend in our house. Saturday started off with some yummy cinnamon rolls made by Kenny. Then I had some time in my scrapbooking room working on some projects. The dogs took a trip to the groomers and came back looking and smelling wonderful! We had a fabulous dinner at Teddy's Burgers in Woodinville. I finished the evening off with a scrapbooking workshop here. Below is a picture of the layout that we made. I had been looking forward to Sunday morning all week because that meant I got to sleep in, guilt free. Shane woke up around 6am (UGHH...I Know!!). Kenny got up and took care of him and I rolled over and went back to sleep. In the midst of my dreaming I heard the door open and a little hand came and touch me on the head. I thought, "It must be late and they really want me up." I rolled over and looked at the clock and it was only 7:30! What!! I asked Shane where Daddy was. I didn't get an answer, but he did help me by giving me my glasses and my PJ's. I asked him again to go get Daddy. Kenny came in the door and asked what was going on. He was unaware that I had a visitor (two if you count Dodger, who was on the bed giving me kisses). He whisked everyone out, but sadly I was wide awake. But my little visitor was too cute to be mad at. We finished a great Mother's Day weekend off with a fun visit to Kenny's Aunt and Uncle's house for dinner. Where there was family and food galore. A few weeks ago Shane and I planted a sunflower seed at Toddler Group in a little paper cup. We watched and watered it for weeks, hoping the little guy would grow. One evening I looked at it for the hundredth time and finally saw something green coming up in the dirt. I grabbed it and ran to show Shane (who was soaking in the bathtub). The sunflower started growing so fast and Shane has asked to look at it every day. Finally, the little sunflower needed a new home. Shane and I got everything ready to transplant him into a bigger pot. Just as we got started it began to pour down rain on us. We quickly did our task and brought him back inside. The sunflower seriously grows so much everyday. I can't wait to replant him outside and watch our sunflower grown into a big wonderful flower. I've been blogging a little over a year now. There have been over 4,000 visits to my blog and I've blogged 118 times. This entry is my first ever Blog Candy. To be entered into the contest, leave me a comment telling me a little bit about your hobby. Do you scrapbook, make cards, knit, sew, read books, etc? And how often do you get a chance to do your said hobby? I'll randomly draw a name from the comments and post the winner on Monday. You'll receive a cute mini stamp from CTMH, along with a 1x1 inch acrylic block, a set of acrylic tags and a sheet of rhinestone flowers. Thank you to everyone who takes a moment to stop by and see what is going on in the Booth Household. There was a time when I sarcastically called Shane "My Little Helper". As of lately it is more truth then not. He is so helpful. On cleaning Thursdays he totally has the routine down and loves to help me vacuum, clean the mirrors, do the laundry, throw garbage away, pick up his toys, sweep, etc. He gets a little carried away with throwing things away right now (if you can't find something, it's probably because Shane threw it in the yard waste bin). And sweeping with him is a little challenging to say the least. I also haven't taken on big cleaning tasks with him around. But he'll help put groceries away and even knows were things go. It amazes me how much he wants to help and how quickly he figures out how to do things. A few evenings ago Kenny mowed the lawn. Shane had his lawnmower out there doing his part to help Daddy. As of yesterday, Kenny completed his 5th year of his running streak. Kenny started this adventure after some coaxing from a cousin, who had created the running holiday "Runivus." Which pretty much is just a day that begins your running "streak". Streak running isn't when you run naked, it means you run every day in a row. Kenny's streak is FIVE years. And you won't believe that there is actually a club of streak runners out there. And people have streaks up to 20+ years!! Amazing, huh! I think the whole things is CRAZY. Kenny has run through a lot of things in the last 5 years...vacations, extreme heat and cold, Shane's birth, my hospital stays, injuries, etc. But he is still doing it. Cheers to year #6! 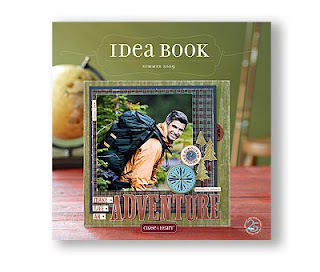 The Summer '09 Idea Book has arrived! Have you got your hands on one yet? If not, let me know. You will want to check out all the new and fresh products from Close To My Heart. Join the National Scrapbooking Month celebration in May with this special Tickled Pink offer. It's a darling scrapbooking kit that includes the new D-size My Acrylix I Am stamp set, textured cardstock, B&T Duos paper (2 with glitter! ), Mini-Medley Accents White Daisy collection, a foam texture tool, and an instruction brochure for creating two beautiful two-page layouts. You will be Tickled Pink during this campaign. Offers run through May 31st. While Supplies Last! *Host a gathering with a minimum sales of $400 and receive the kit for FREE. National Scrapbooking Month is all about you! CTMH wants you to share your story, so put together your best two-page layout featuring…you! Send a JPEG photo of your layout and a description of how it is highlighting you, your life, your passions, your hobbies—whatever is the best way to tell your story. Send your photo and description to scrapbookandshare@closetomyheart.com and you will be automatically entered into the contest to win $150 retail in Close To My Heart product! Here is one more way you can win! Through May 31st, Jeanette Lynton (CTMH Founder) will be giving away one Tickled Pink kit every single day! 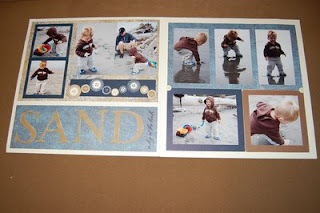 Just visit www.scrapbookandshare.blogspot.com, (you can view all the submitted layouts there) and post a comment on any of the pieces of artwork. CTMH will collect all the comments each day, randomly draw a name, then Jeanette will be posting the winner on her blog the following day. How simple and easy is that!? Click here to see all my upcoming workshops, view pictures of many of them and get details on each one. 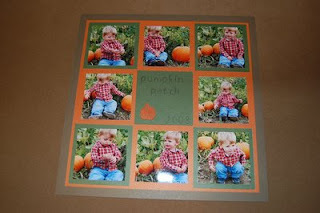 I have card making classes, scrapbooking workshops and even a Photo Star workshop coming up. Space is limited, so RSVP soon. Beauty and individuality come in all shapes and sizes -- take your pick from these strong confident words and striking silhouettes. Available through the end of May only! Shop online at www.jessicabooth.myctmh.com for discounted CTMH products. You will find a variety of paper packets, accessories and discontinued items at great prices.